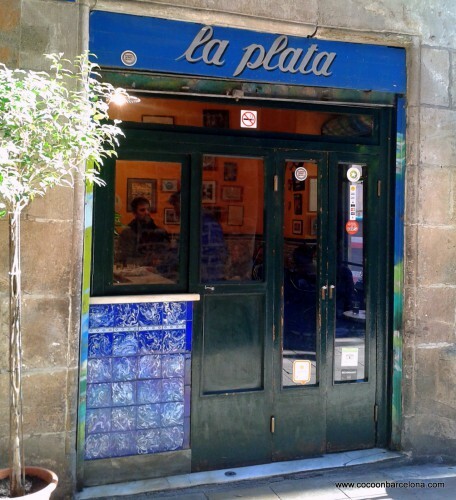 In our modern times it´s often about bigger, better, faster…but many times it´s the small details and little shops with special charm that we remember the most after a city trip. When you think about Barcelona one of the first things that might come to your mind could be Sagrada Familia or other big monuments and main tourist attractions like Park Güell or Casa Batlló. Today we want to present you some interesting “small places” in the Gothic quarter – places which might be overlooked, but are actually the ones making Barcelona and the historic city centre so unique. La Plata – (C/ Merce 28) a truly authentic bodega and tapas place, offering you a “real Barcelona” experience. 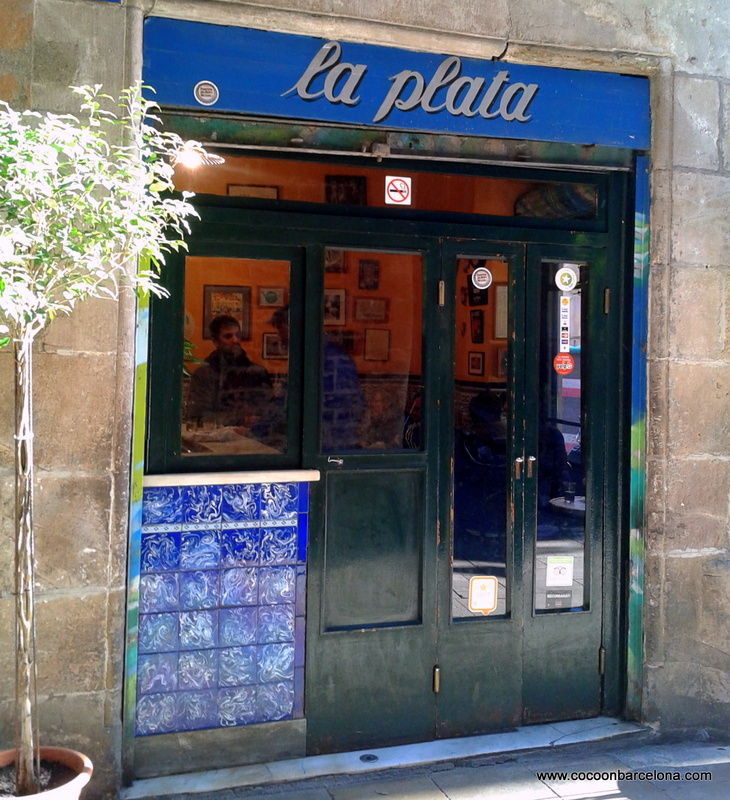 This is not a fancy tapas place made up for tourists, here they still do just 3 plates: sardines, tomato-onion-anchovies salad and butifarra (sausage) and all of them are delicious. 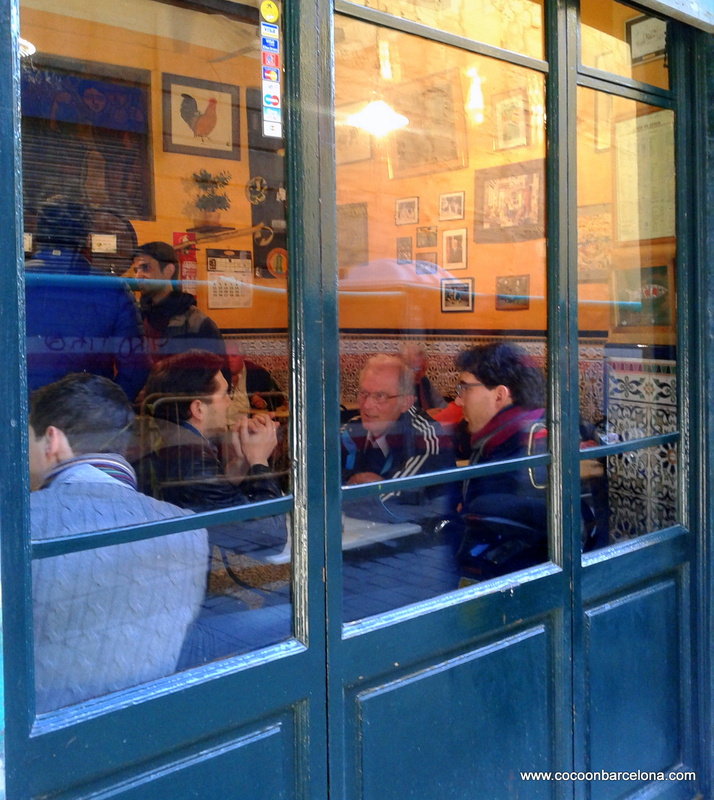 The inside with the beautiful tiled walls is small with just a few tables. The best experience is to take you plate, a glass of vermuth and eat out on the street – just like a local! 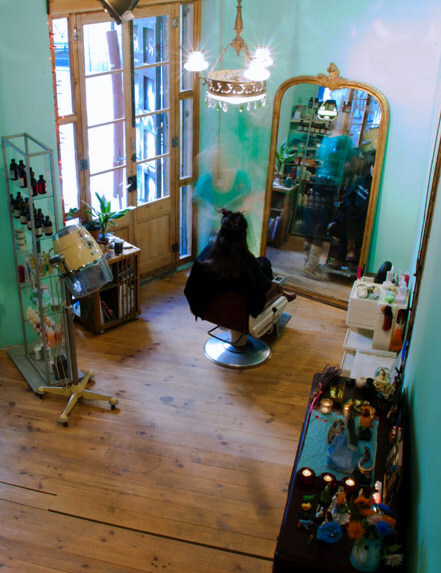 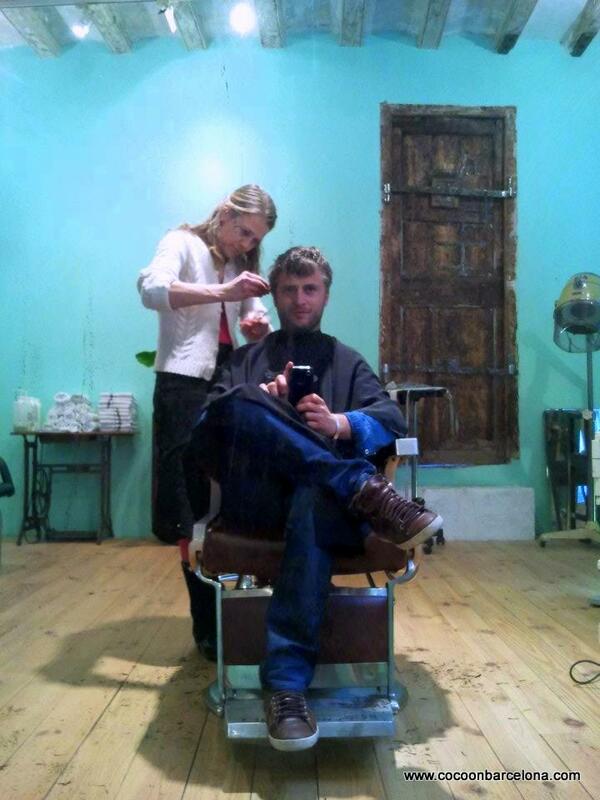 Santa Melena – this charming hairdresser in the Gothic quarter is a place full of vintage charm with high ceilings, wooden beams and beautiful furnishing. The dutch owner Edith truly loves attention to detail and runs this salon on her own, meaning that only one client a time is being attended. 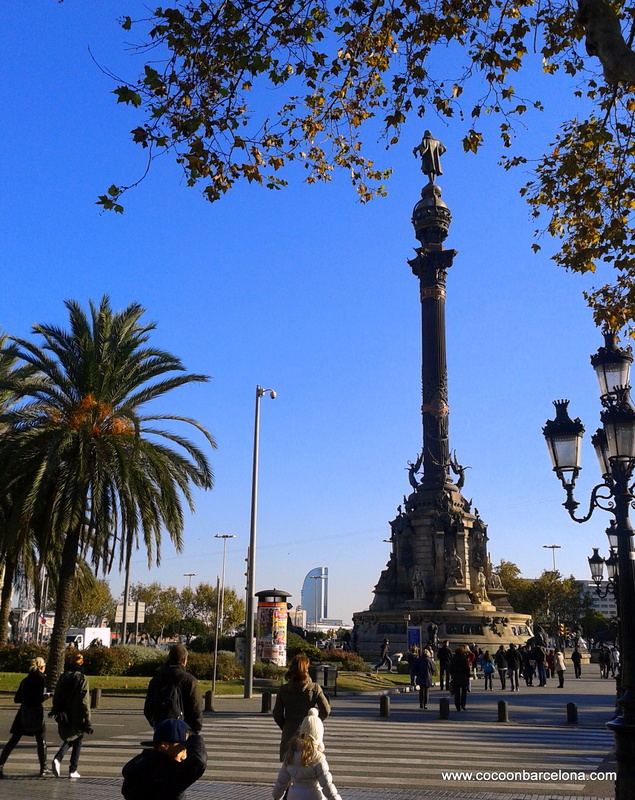 Elevator Columbus Statue (Mirador de Colom) – this little elevator is hidden inside the Columbus statue (entrance in the basement) and takes you up to a height of 60 meters and offers beautiful panoramic views over the old harbour and the Ramblas. 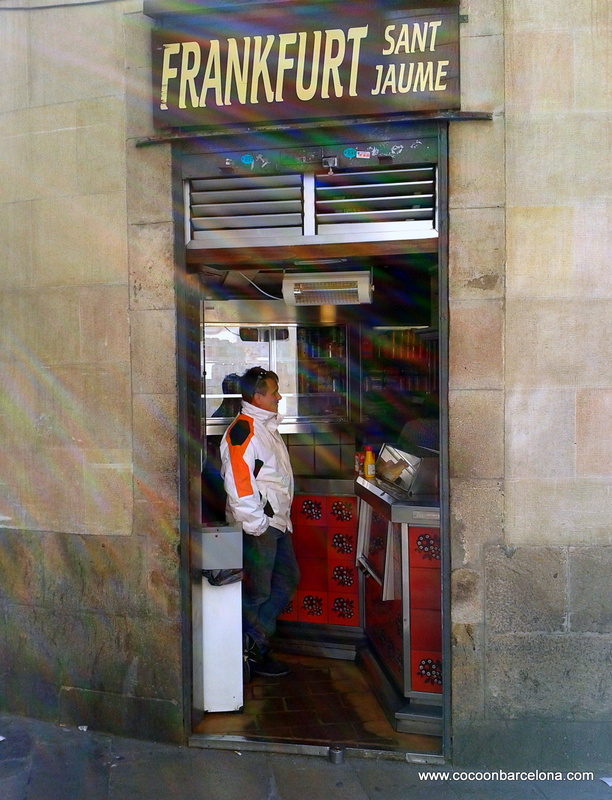 Frankfurt Sant Jaume – next to the Ajuntament (city hall) on Plaza Sant Jaume 2 you will find this authentic place with original tiles, selling typical sausages and burgers to take away. 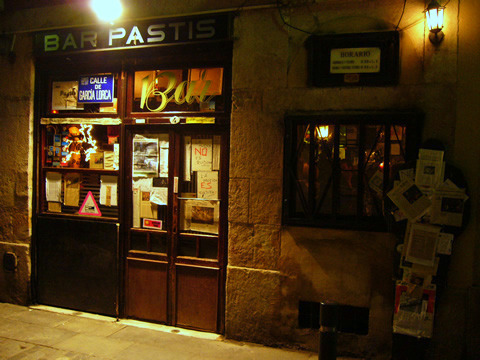 This popular “bar” is said to be the smallest in Barcelona. 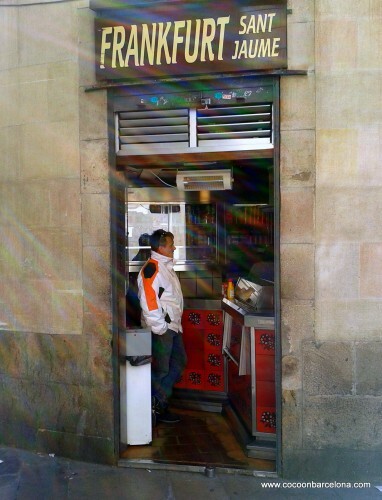 During high season it´s easier to spot because of the long queue in front of it. 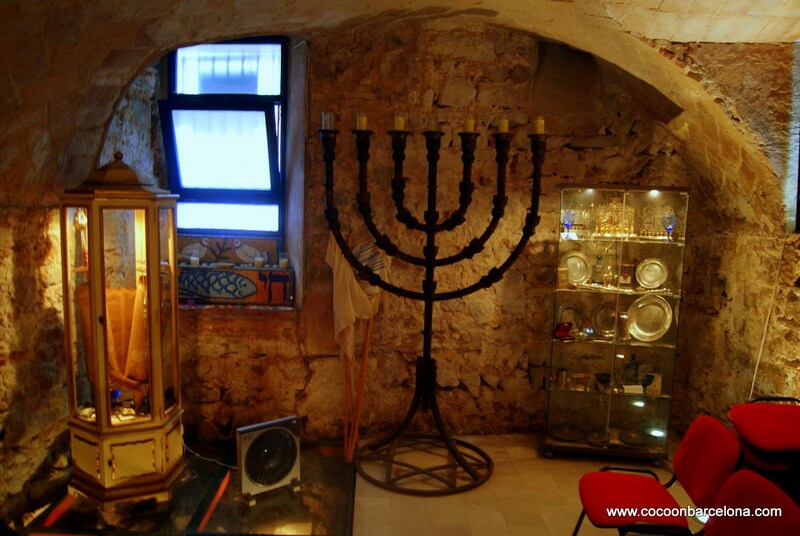 The Synagoga Mayor – is located in the old jewish quarter between the cathedral and Plaza del Pi on C/ Marlet 5, a very atmospheric area with narrow streets, little shops and full of history. 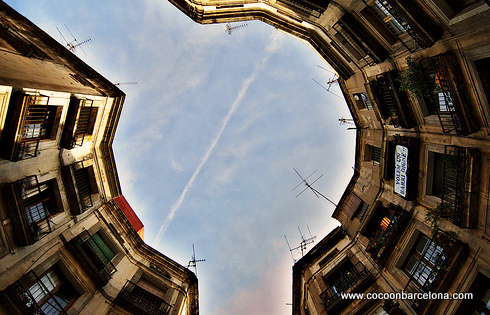 Medieval Barcelona was around 15% Jewish and the Synagoga is believed to be one of the oldest in Europe. 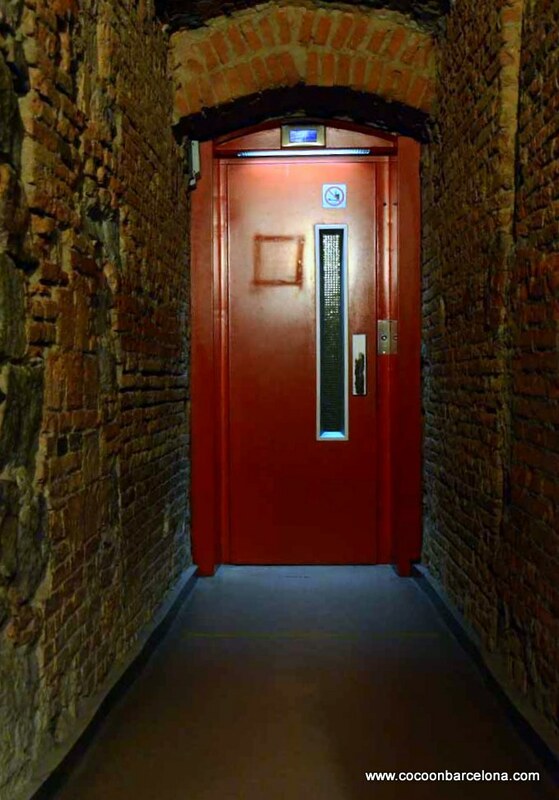 More secrets in the historic city centre are waiting to be discovered by you! 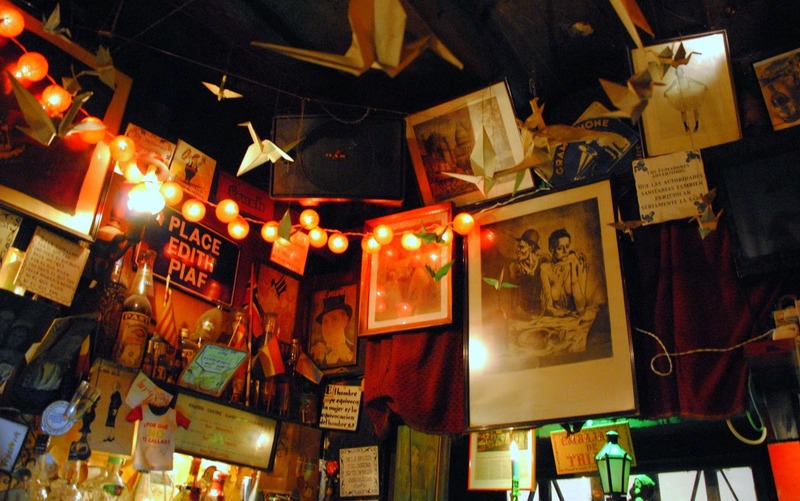 Keep your eyes open during your next visit and find your own, favorite “small place” in town.